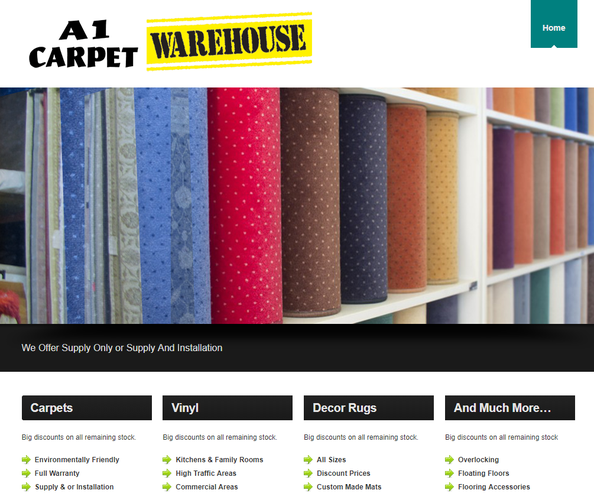 Starting out as Carpet World in 1968 and growing to include A1 Carpet Warehouse meant more stock, more record keeping and improving our existing methods to communicate with customers. It also meant that our communications systems had to keep up and evolve, as required. Enter Digital IQ offering short courses for local businesses, in small and friendly classes, held at convenient times to educate us on the benefits of higher speed internet and online possibilities. With the assistance of Digital IQ and that of his team, we were enthused to implement long put-off plans. We were able to set up a website with the help of a web design company, giving them a clear brief, no longer consisting of vague ideas that we were going to get around to "one day". The cost was minimal and the process simple, thanks to information we garnered through Digital IQ. It was advice about what not to do, as much as what to do, given freely by creative industry leaders. Since then our customer base has grown to include people who no longer respond to traditional forms of advertising. And we have gained the confidence to upgrade our technology and associated skills. Previously our shoppers were ageing with us because we just weren't keeping up with IT changes, but now we feel as comfortable as those with which we increasingly interact online. As a small business, consisting of self-confessed technophobes, we appreciate Digital IQ dragging us into this century.